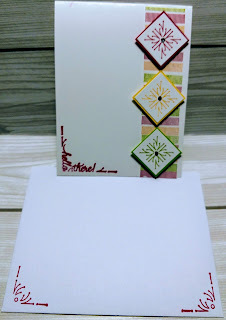 Renee's Paper Treasures: Thursday Treasure: Stampin' Up "Hello There"
Thursday Treasure: Stampin' Up "Hello There"
Our team's weekly challenge was to create a project using the colors Melon Mambo, So Saffron and Granny Apple Green. The Granny apple Green is one of our new colors. I really love how these colors compliment each other. This stamp set has some great sentiments and images but I chose to use the bar image to create a small piece of designer series paper(DSP). 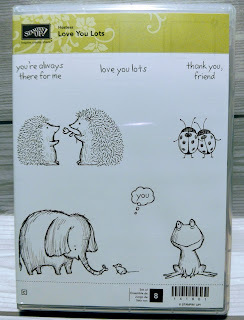 Then just include one of the super corner sentiments and viola a super fun note card created. I Cased this project from a demonstrator in the UK, Stampin' Magik. Card measurements: 4/14' x 5 1/2"
1. Cut whisper white card stock 4 1/4" x 11", score @5 1/2"
2. Cut whisper white card stock 1 1/2" x 5 1/2"
4. Cut melon mambo, so saffron, and granny apple green card stock 1 1/8" x 1 1/8"
5. Stamp star image on 1" x 1" whisper white using each ink pad. 6. Stamp image on 1 1/2" whisper white piece to create DSP piece. 8. Attach whisper white squares too coordinating color card stock square using snail adhesive. 9. Attach the dsp piece to the card base using the snail adhesive. 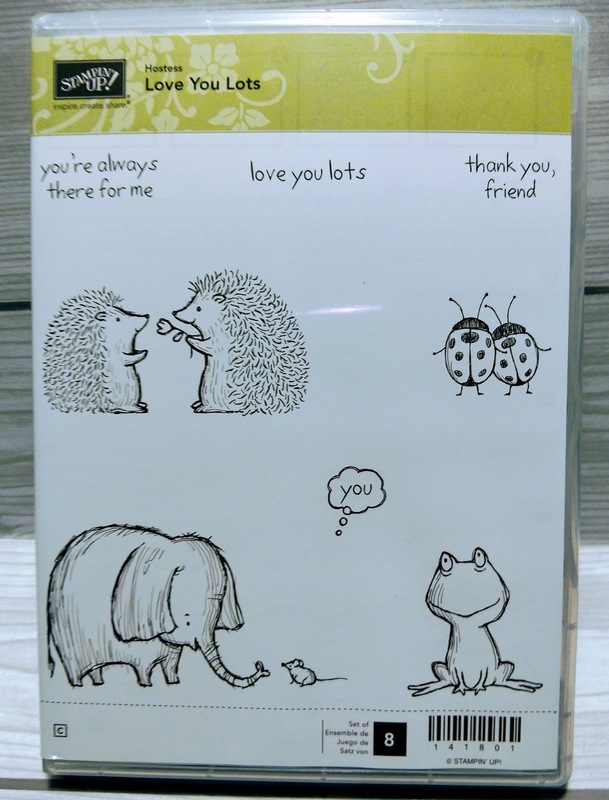 Stamp the sentiment in the left bottom corner of card base. 10. 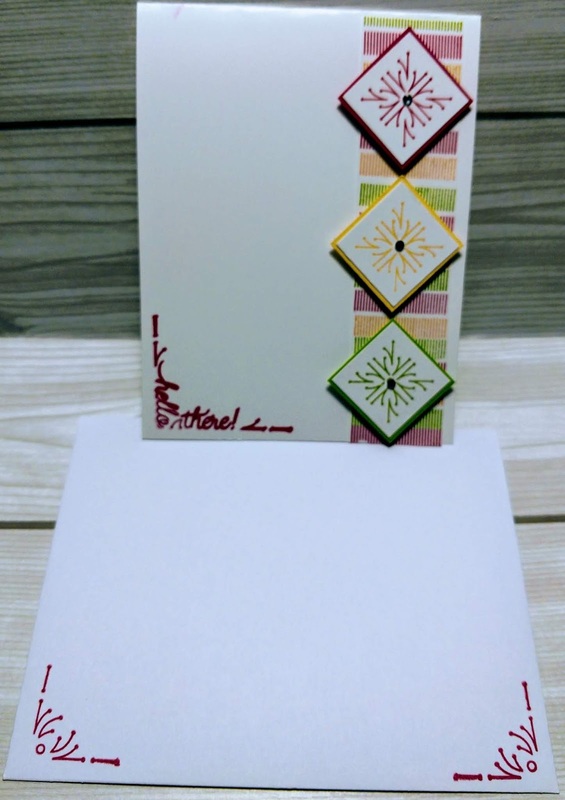 Add diamond layers to card base with dimenstionals. 11. Add rhinestone to diamond layers. Viola your note card is complete. The drawing for this stamp will be held 8/8/2018 and the winner will be notified 8/9/2018.